Most of the SNAP users in Minnesota are families with children, seniors, and individuals with disabilities. The SNAP program calls adults who do not have a disability and do not have minor children “able-bodied adults without dependents” (or “ABAWDs” for short). They are adults ages 18-49 who don’t have any children in their household (or their kids are over 18 years old). ABAWDs must work at least 20 hours a week to qualify for SNAP. If they aren’t working, they can only receive 3 months of SNAP every 3 years. Jane is 48 years old. She was a stay at home mom for decades, raising 3 kids who are all young adults now. She got married young and stayed home with kids. She hasn’t held a paid job in nearly 30 years, so she doesn’t have the work experience that employers are looking for. Rebuilding her life after a messy divorce, and tries to support herself with a part time job as a cashier at a department store, but it’s never enough to make rent and buy groceries. Her hours are all over the place — one week she works 32 hours, the next week it’s 12 hours. She just got the schedule for next week and she’s only on it for 8 hours. 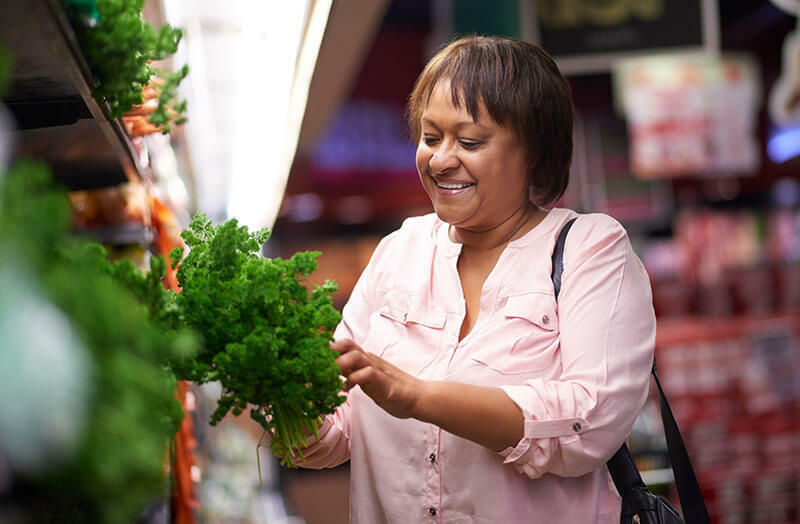 She has been able to qualify for more months of SNAP to help her through a tough time in her life while she looks for a job with more stability. There are some exceptions to the work requirements or ways to get extra months of SNAP benefits. For people in 27 counties in Minnesota, the work requirements have been waived largely due to availability of jobs. People living in these counties do not currently have to work 20 hours a week to keep their SNAP benefits. There are also some personal situations that allow ABAWDs to forgo the 20 hour a week work requirement or get extra months of SNAP while they get on their feet. If you are experiencing homelessness, just aged out of foster care, or are leaving a domestic violence situation you may qualify for SNAP even if you aren’t working. Every person’s situation is different, so if you think you or someone you know may be eligible, it never hurts to check. Call the Minnesota Food HelpLine at 1-888-711-1151 to see if you may qualify.